The Betrayal, upcoming thriller on social and gender issues, is pleased to announce its two new partners: D-Light Studios Dublin and DCU-based Sexuality Studies research group. 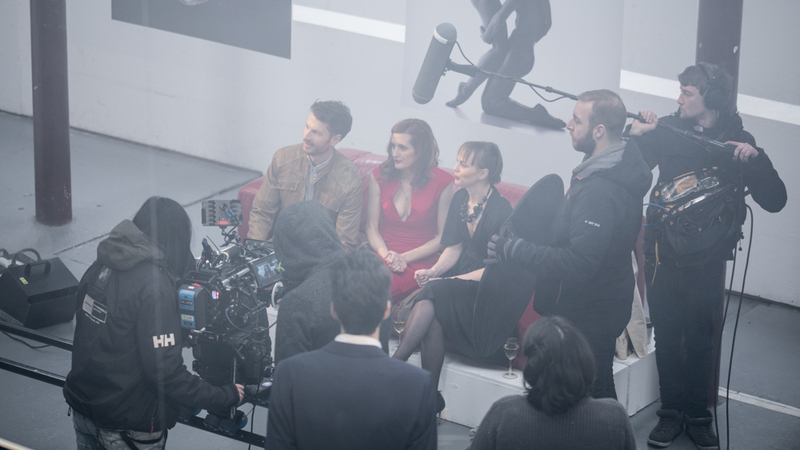 D-Light Studios, owned by photographer Agata Stoinska, partnered with The Betrayal in the early stages of production. Some of the film’s key scenes were shot there in February. “Here at D-Light Studios we have a very unique space, we have built a creative hub in a beautiful old woollen mill/warehouse and we want to share it”, says Stace Gill, the Studios Manager. “Our primary function is as a film/photography location and our aim is to welcome as many creative projects to the space as possible. We are very happy to work with the amazing crew of women behind “The Betrayal”. A project that creatively addresses the ever evolving social attitudes and issues concerning gender equality, fluidity and freedom is an easy partnership for us to make. The Betrayal, featured recently in EILE Magazine, Her.ie, and Headstuff.org, is in post-production and is slated for release on the Irish and international festival circuit in the early summer 2016. It’s Kamila Dydyna’s second film after the award-winning Testimony.